I introduced the harmonic minor scale to you in Chapter 3 of Fretboard Theory Volume II where we looked at the dominant function and minor chord progressions with a V7 chord. 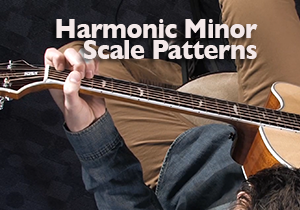 In Chapter 9 we will pick up where Chapter 3 left off, teaching you harmonic minor scale patterns and how to use this scale for improvisation. Be sure that you have completed Chapter 3 so that the material we work with here will make sense. 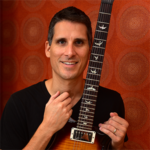 Fretboard Theory Volume II is now part of the full Fretboard Theory book and video series. Click the link for more information.